Are you a fan of modern interiors? What a silly question. Definitely, you are. All of us dream of beautiful houses. The modern interiors fascinate us a lot. In that regard, Himalayan salt walls are the best option you can opt at your house. It is the most unique and sleek idea for modern yet antique homes. But everything has its reason. The reason, benefits of Himalayan Salt and all related things will be discussed today to make you aware of trending facts. So let’s start. What are the Himalayan Salt Walls? 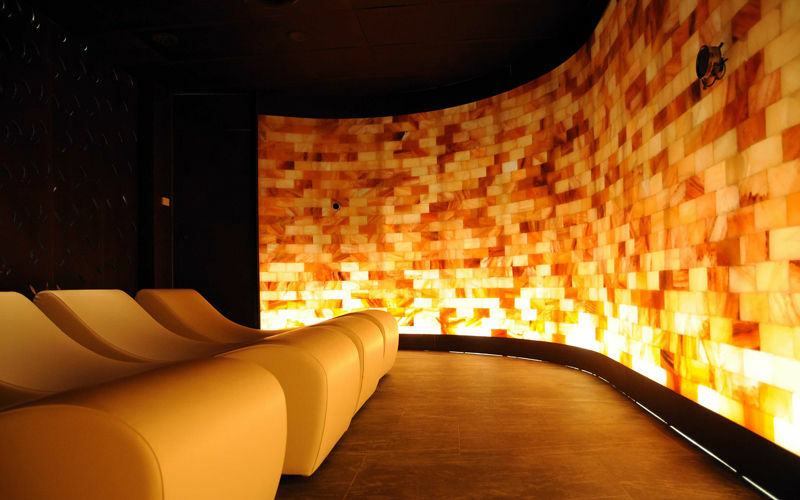 Himalayan salt walls are the walls build by using Himalayan salt blocks. The blocks are illuminative bricks giving a stylish and sleek finish. These walls are used today as an integral part of modern hotels, restaurants, homes, and spas. The aura obtained from these walls is beyond words. Let’s find out the reason for using these pink salt walls. The blocks of these salts are obtained from Himalayan ranges. Pink salt benefits force people to use them in their homes. It is very healthy to use due to a number of health benefits and purity. Himalayan salt is the purest of salt forms and it purifies the air by ionization so it is very appropriate to use in walls. 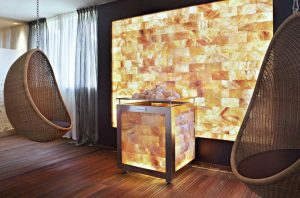 Himalayan salt walls are also halo-therapeutic. It is the best source to fight against respiratory diseases. 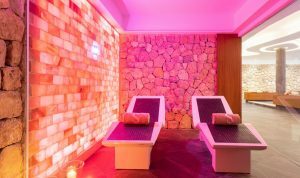 So Himalayan salt walls are a must. We know that air has certain vitamins or negative ions. These negative ions when combining with positive ions neutralize the harmful effect of air. Himalayan salt is a trigger of this process. It settles the moisture and humidity in the air. This fact gives us another reason for constructing Himalayan salt walls in our homes. Pink salt walls are the most modern and trendiest option for the interior of your house. All the impurities present in your space can be purified by pink salt walls. The walls are very luminous. They produce a very soothing effect. These walls release positive energies. It is a good treatment of migraine. Where to Build the Himalayan Salt Wall? Before installing pink salt walls at your houses first ask yourself where you want that wall. I suggest you build it indoors. Never go for outdoors construction as weather can spoil your masterpiece. Secondly, adjust your budget. One thing should be kept in mind that these walls are not cheap so decide according to your pocket. The glue-free method is the simplest of all. It uses a metal profile. This is the method opted when you want your wall to be independent. You can move your wall anywhere by choosing this technique. This involves gluing a coat of salt on the wall. A net is used to fix all. It can treat respiratory diseases. In this method, some blocks of salt are glued together. This glue is in powder form. It is a special glue which does not react with salt and keep the usefulness intact. Install Himalayan salt walls at your houses to enjoy its marvelous benefits.